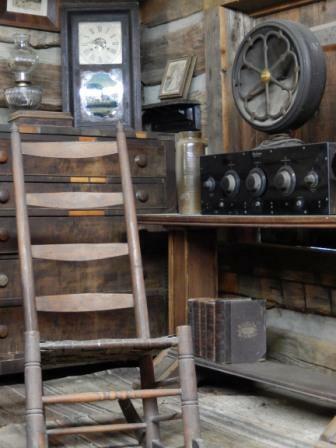 At the Museum of Appalachia, we’re committed to preserving our past. Each year, the Museum of Appalachia introduces our pioneer mountain heritage to some 100,000 folks from around the world. We hope you’ll consider a contribution to the Museum so we can keep telling the stories and singing the songs. Any gift of $100 or more includes a Museum membership (see our membership page for benefits). As an official affiliate of the Smithsonian Institution, we’ll also include Smithsonian membership in your Museum membership, so you’ll receive the Smithsonian Magazine and other benefits. The Museum is a non-profit 501(c)(3) organization, so any donations are tax-deductible as allowed by law. We are so thankful for your support and encouragement! Any amount you choose to give would be much appreciated. Whatever avenue you choose for your gift, you’ll know that you’ve made an enormous difference in preserving our heritage for future generations. We’ve established an endowment fund to ensure the Museum’s long-term financial stability; we invite you to talk with us about planned giving, estate gifts, and other options for tax-deductible contributions. If you have an artifact that you wish to donate to the museum please call (865) 494-7680.